Whether we're cooking meals or eating them, this weekend will probably include turkey dinners, endless desserts and bottles of wine. 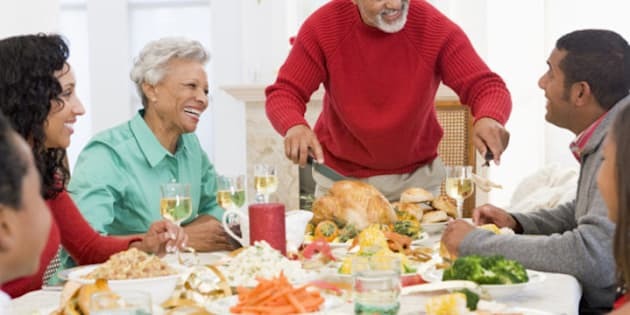 If you are hosting a holiday party this year or just cooking for your large family, figuring out your budget will help you cook the best meal and watch your bank account. "If you want to have a good result and a meal that is really tasty, limit your choices. You don't have to have a huge variety of things," says chef John Pritchard, based in Charlottetown, P.E.I. We asked Chef Pritchard and Chef Karen Karen Dar Woon based in Vancouver, to give us meal ideas under each price point. For other ways to save those bucks, Pritchard recommends making a shopping list and sticking with it, buying fresh and some frozen fruits and vegetables and cooking with leftovers. Whatever your budget may be, make sure you plan ahead experts say. The real key is finding your favourite foods and enjoying it with your family and friends this holiday season.